We're passionate about changing lives. Talented. Experienced. Driven. The team at Boggy Creek Animal Hospital believes in a singular vision: that we exist to change lives, and that your pet deserves truly world-class health care. 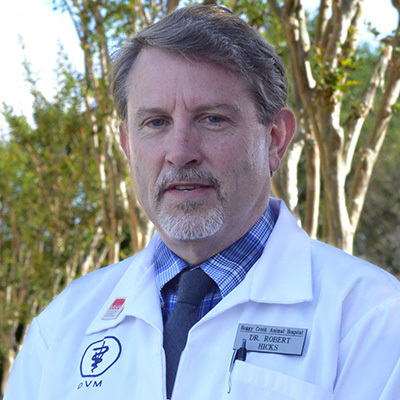 Dr. Hicks graduated from Auburn University with a bachelor’s degree in Zoology in 1982 and his Doctor of Veterinary Medicine degree in 1986… Upon graduation, he moved to Central Florida where he practiced at various hospitals until opening Boggy Creek Animal Hospital in 1996. Dr. Hicks is an active member of the AVMA, FVMA, CFVMA and IVAPM. He is the past president of the CFVMA and has been on the Board of Directors of the Veterinary Emergency Clinic of Central Florida. When not at work, Dr. Hicks spends the majority of his time with his wife Stephanie, their five children, and multiple pets. His hobbies include sports of all kinds and real estate investing. Dr. Lima was born and raised in Matanzas, Cuba. While growing up there, he realized his love for veterinary medicine after his dog Rocky needed medical help for a broken tail. At the age of 15, his veterinary dream had to be put on hold when his family decided to move to the United States in 2003. After settling in Orlando with his parents and little brother; Dr. Lima received a Bachelors in Biology from the University of Central Florida. Shortly afterwards, he was accepted into the College of Veterinary Medicine at the University of Florida where he received his Doctorate in May, 2017 and a certificate in Veterinary Business Management. Dr. Lima’s special interests include Dentistry and Surgery, as well as Radiology and Ultrasonography. He is also very passionate about minimizing the stress of hospital visits on his patients. 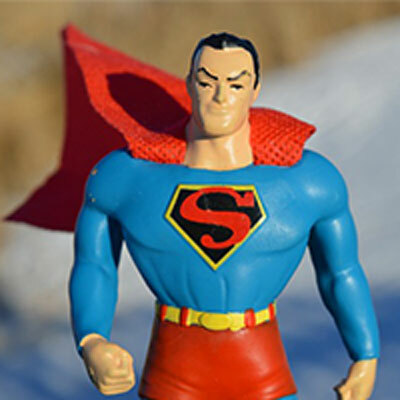 He is currently becoming Fear free certified through Dr. Marty Becker’s Fear Free initiative. Dr. Lima lives in Lake Nona with his Fiance Kaity and recently added Oso; an amazing new pup to their family. 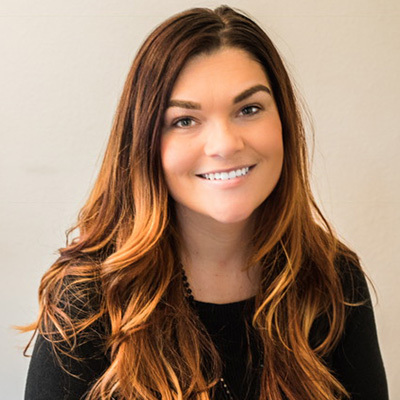 Dr. Shannon Sullivan graduated from the University of Central Florida with an undergraduate degree in Chemistry before going to veterinary school at the University of Tennessee, College of Veterinary Medicine. She graduated from veterinary school in May of 2018. She recently married her soulmate, Alex. They are the only human components of their 5 member family including two cats, Ice and Rue, and one dog, Vixey. When she is not working, she loves to spend time outdoors with her friends and family doing activities such as kayaking, going to farmers’ markets, or just hanging out by a bonfire. Dr. Sullivan loves that she is able to give a voice to the otherwise voiceless pets that we love and care for so deeply. A few of her favorite things when working are preventative medicine and client education, all kinds of surgery, wound care, and pain management. She has a great passion for all species of animals, so she is excited to be able to bring care to not only your dogs and cats but also your feathery, scaly, or otherwise fur-bearing family members. Amber is a Florida native and began her journey in the veterinary field about 15 years ago. She holds a degree in Business Management and became a Licensed Technician in 2013. While she has spent a majority of her career in Specialty & Emergency Medicine she is passionate about preventative care. 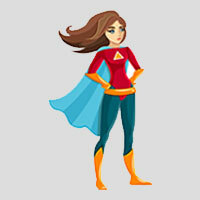 Through the years Amber found her heartfelt love for hospital management, leadership, and the development of her team. In her spare time she enjoys the beach, fishing, outdoors and traveling with her husband and son; Jeremiah. They have two Pomeranians; Mikey and Madi. Donita has been the receptionist at Boggy Creek Animal Hospital since its opening in April 1996. She moved from South Florida, and has been working in the veterinary field since 1976. Donita has seen much growth and change in Osceola County. She enjoys watching clients and their families and pets grow through the years. Donita lives in St. Cloud with her son and cats. She enjoys reading, baking, cooking, and cherishes family times. Judy started in the veterinary field in 1993 with the Army 19th Detachment Unit in the Netherlands. She worked at Pet Center Animal Hospital in Virginia from 1996 to 1999. 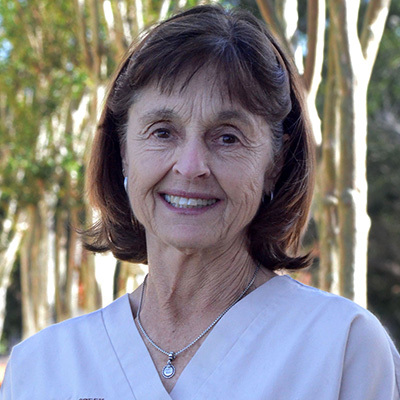 In 2002 Judy moved to Florida and started at Boggy Creek Animal Hospital. Her passion is bonding with the clients and their pets. She has three children and four grandchildren, one grand-dog and loves spending time with her family. Judy also enjoys reading and listens to jazz on Sunday mornings. Ashley is a South Carolina native and came to us with 5 amazing years of veterinary experience. Ashley and her husband have a son who will be 2 years old in May. They share their house with two boxers and two cats! In her free time you can catch Ashley cooking, listening to music, or catching rays at the beach. Her favorite part of her days are when she gets to build new relationships with our clients and their fur kids. Phil has worked in the veterinary field for over 20 years and started with Boggy Creek Animal Hospital when they opened in 1996. He has a passion for customer service, client education, and providing the highest quality of patient care. Phil and his wife have two children. You will commonly find Phil keeping smiles on everyone’s face around the hospital. 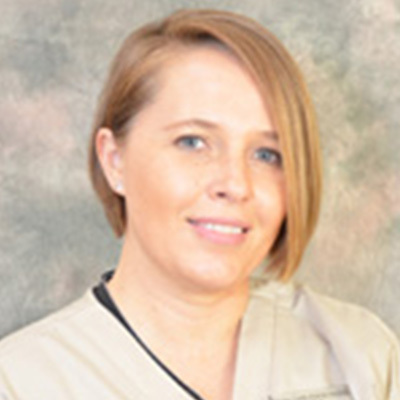 Lauren has been a veterinary technician since 2001 and has been employed with Boggy Creek Animal Hospital since 2006. She attended St. Petersburg College and graduated with honors in 2012 with an A.S. degree in veterinary technology and became a CVT in 2012. Lauren also has received a B.A. degree from UCF in Fine Arts in 2002. Lauren has worked with many species of animals such as exotics, wildlife, large and small animals. She also volunteers her time with Back To Nature Wildlife Refuge, a rehabilitation center for injured and orphaned wildlife. She would tell you that her work is very fulfilling, and that she never thinks of it as a job. Her husband and her have 4 dogs, Gunner, JuJuBee, PupPup, and Donut; plus a variety of exotic pets. On her free time, she spends it creating art work from pottery, painting and jewelry making. Gabriel was born and raised in Puerto Rico, then moved with his family to Orlando when he was 13 years old. He always dreamed of working in the veterinary field. Soon after obtaining his certification as a Veterinary Assistant and working in the field; he learned the importance of providing quality preventative care for pets and their parents. 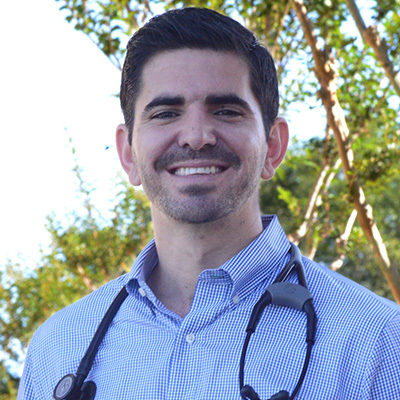 Gabe came to Boggy Creek Animal Hospital with 8 years of experience and is eager to continue his education further so that he can always provide the highest level of veterinary care. When Gabe isn’t hard at work he enjoys spending time at Bass Pro Shop stocking up on fishing gear and spending time with the family. Cyd Marie was born in Puerto Rico and raised in Orlando, Florida. Since a small child she has always been passionate about providing the nest care for our furry companions. In 2012 she became a Certified Veterinary Assistant and then continued her education by graduating with a Bachelors in Biology in 2017. In her spare time you can find her at Baldwin Park with her pup Romeo or snuggling on her couch with her kitty Smokey. Cyd’s favorite part about working at Boggy Creek Animal Hospital is working with her team and the comradery they have built. She also values the advanced equipment the hospital has and her opportunities to create long term relationships with our clients. Lilliam has been in the veterinary field for almost 9 years. She remembers dreaming about working with animals from a very early age. With the help and support of her family, Lilli was able to earn a degree from the Institute of Fine Arts. Her favorite part of veterinary medicine is working side by side with clients to provide the best care and quality of life possible. An ideal day off for her would be spent with her husband and their three dogs! They all enjoy nature walks, reading and playing video games. At Boggy Creek Animal Hospital you’ll find Lilli smiling and giving lots of attention to all of our furry patients. 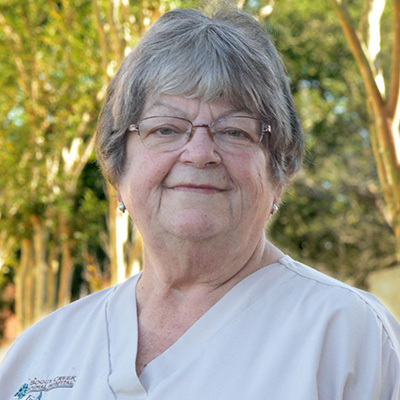 Debbie has been the kennel manager at Boggy Creek Animal Hospital since 1997. Prior to joining BCAH, Debbie was a preschool teacher for 10 years. She is not only a mother of three, but also a grandmother and a fur mother to her dogs, horses and birds. In her spare time, she can be found on a trail riding her horse, walking her dogs or kayaking. Lisa is originally from Indiana and moved to Central Florida when she was very young. She has a passion and interest in, not only domesticated pets, but also reptiles and exotic animals. Her favorite part of veterinary medicine is helping the animals and seeing them at all stages of their life. She shares her household with her teenage son, five adopted cats, fish, and birds. Lisa loves the outdoors, martial arts, fitness, and expanding her knowledge of the different cultures of the world. Her passion outside of veterinary medicine is entrepreneurship of her start-up company where she acquires and sells items online! Brenda recently graduated from the University of Central Florida with her B.S. degree in Biology with a minor in Environmental Studies. During her studies Brenda was involved in two research projects that helped to support her love for our environment. When she isn’t working you’ll find her spending quality time with her family and two Chihuahua’s, Cookie and Luna. She also enjoys any activity outdoors, whether it’s herping, hiking, kayaking or volunteering at Back to Nature Wildlife Refuge. 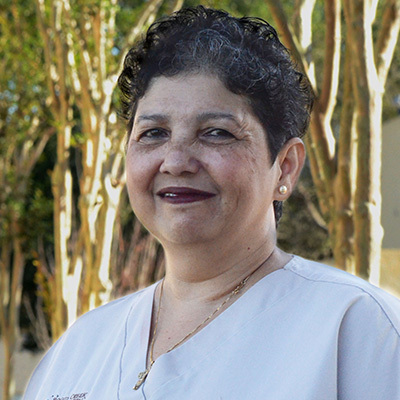 Brenda dabbles in all areas of Boggy Creek Animal Hospital, from the Kennel all the way up to our Client Services Team! 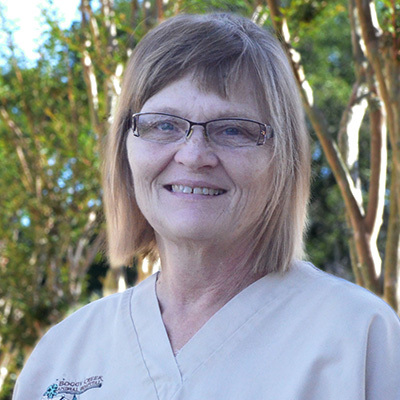 Darla has been with Boggy Creek Animal Hospital since 2015. She loves to spend her spare time competing in and attending dog shows. Darla’s favorite part of her days are transforming and making over our clients pets! Kathy is an animal lover and her lifestyle and career centers around animal care! She has been a “pet stylist” at Boggy Creek Animal Hospital since 2003. Kathleen is involved with training, showing, grooming, and playing with all kinds of pets. She loves to groom and make pets look cute and “comfy.” Her favorite part of working at BCAH is it’s fun and caring culture.